Dr Rahmani is among the most specialized doctors in the field of esthetics dentistry. His clinic is modernly designed, exceptionally clean and has the latest technology available in any quality practice. it offers high-quality treatments with materials sourced from across the globe to ensure that the highest standards are maintained. 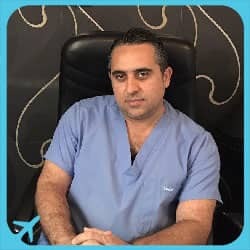 Dr Rahmani is among the famous Dentists and oral surgeons who is highly qualified and experienced in cosmetic and medical dentistry procedures including Porcelain Crowns, Veneers and Dental Implants etc.